I participate in a few online mommy groups and one question that continually pops up is, what are you going to buy your baby for Christmas? It is a stumper since baby likely won't remember it anyway and doesn't need much at this age. However, there are a few items that I think make great gifts for tiny humans. Kayne and I made a trip to Hobby Lobby this past week in search of something of the handmade nature. 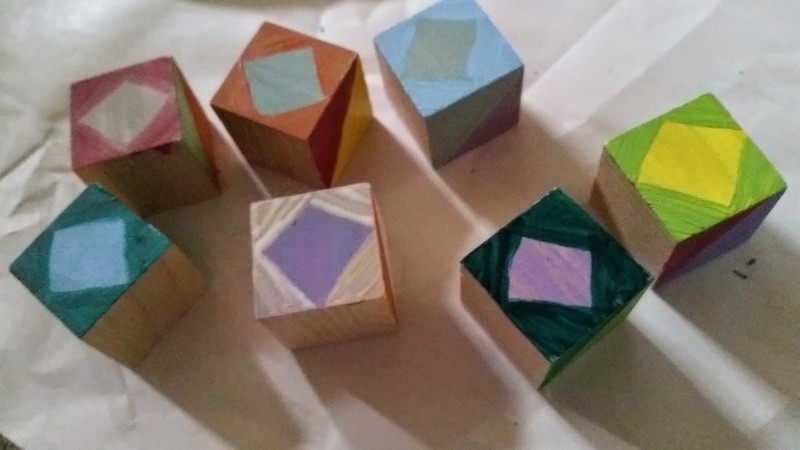 We came across wooden building blocks and a fun family activity was born. 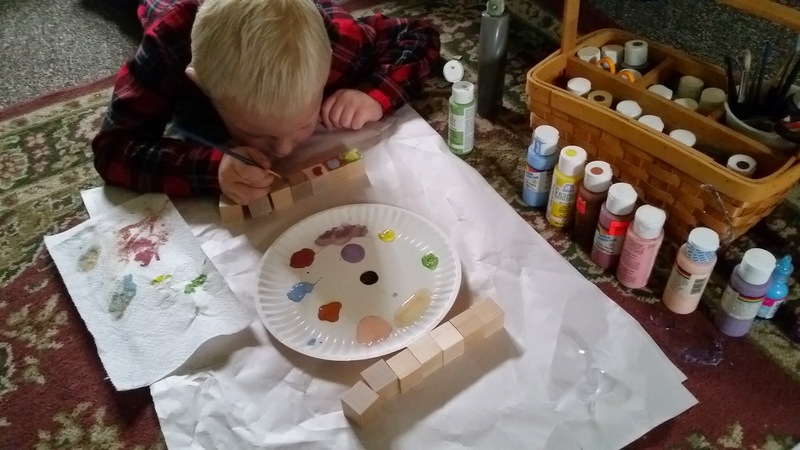 Kayne and I got to work painting the blocks in our own signature styles. 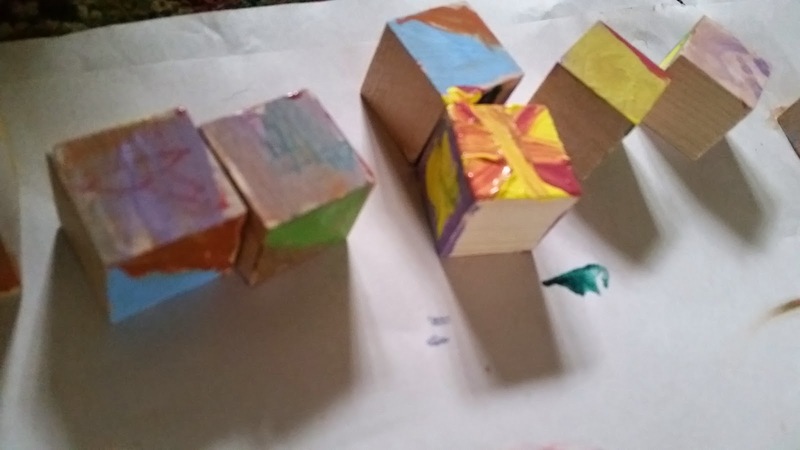 Our hope is that one day these blocks will get some good life with kid architecture and that Rayna appreciates the thoughtfulness and love that went into making them. Soon after that, we went in search of a special box to put the blocks in. Which led us to find some matching artwork for her room, including a wall hanging with the lyrics to one of the songs I always sing to her. You are my sunshine. 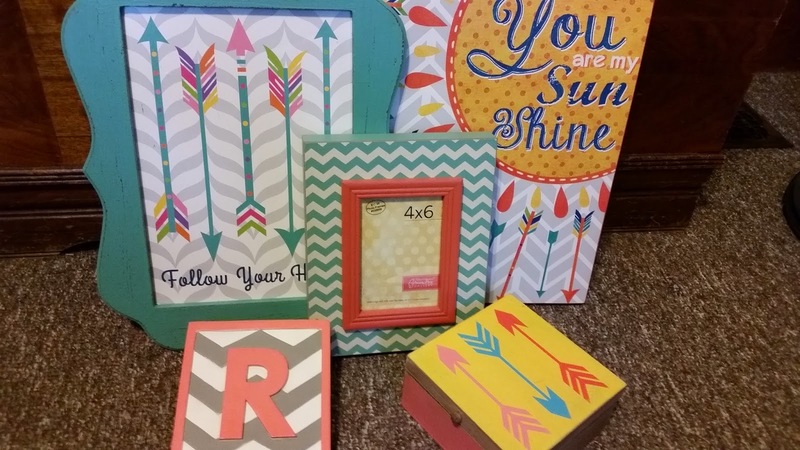 So, now we have a fun little cohesive look for her room, whimsical peaches, blues, arrows and chevron. Not too overtly girly or juvenile as I'm not a fan of princesses and frill. (This may be a gift that's more for me than her, but I couldn't justify the full expense unless it was a gift either way). A few other ideas I have....Every year, I've purchased coin sets from the current year from the US Mint for Kayne. I plan to do the same for Rayna. This is a gift that they won't appreciate until they're older, but I think it makes a neat yearly present. Savings bonds, other handmade items like quilts, a special Build A Bear from the family, and personalized piggy banks and other treasures also come to mind. What are some other good Christmas gifts for babies?